It has only been a few days but that déjà vu feeling is still here. After a dozen year break – we’re back to predicting if the Players champion will carry over to Augusta. 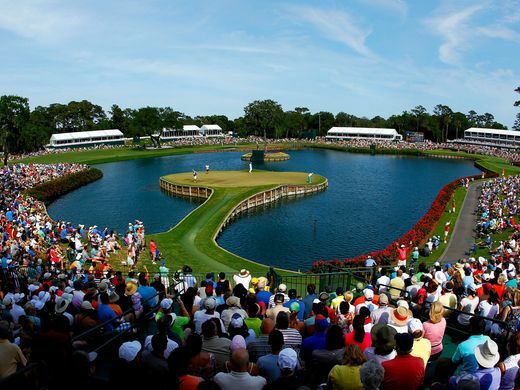 As part of the restructuring of the PGA Tour calendar to welcome the FedEx Playoffs in 2007, the Players was moved forward from its March roots to a new May date. Gone was that fun analysis of whether or not the winner at TPC Sawgrass could hold form down Magnolia Lane and back it up with a green jacket. Tiger was able to make that early season Daily Double in 2001 but most were ultimately unable to convert. But it made for a simple and very valid opening storyline in predicting Masters performances each year. Of course it’s not 2006 anymore. Now with the matured Golf Channel, social media, and non-stop news & sports cycles we’ve recently seen how fun and busy the run-up to each major can be. Well, the run-up to Augusta just got a familiar old angle added to the prognosticators note sheets. It’s perfect that it was Rory. That makes this storyline too good to ignore. No offense to some of the past Players champions like a Jodie Mudd or a Craig Perks – but Rory packing up his cool new trophy and heading to the Masters is precisely what we’ll be hearing about these next couple of weeks… and it’ll be great! Nice to see the Players back in March. Absolutely.